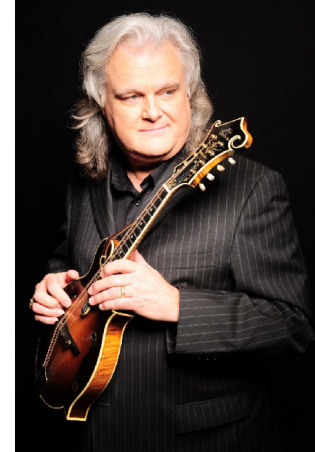 Nashville, Tenn. (February 14, 2017) — Country and bluegrass legend Ricky Skaggs is elated following two GRAMMY® Award wins by Hillary Scott and The Scott Family. At Sunday night's GRAMMY® Awards Premiere Ceremony, preceding the televised awards show, the group's album, Love Remains, produced by Skaggs, scored the big win for Best Contemporary Christian Album. In addition, "Thy Will" (the album's first single) landed them the award for Best Contemporary Christian Music Performance/Song. "I'm so happy for Hillary Scott and The Scott Family," says Skaggs. "Everyone gave their whole heart to this project. As we were working on this record we started to realize that this record was working on us. The songs were so powerful. Lots of tears, lots of prayers, and lots of joy. What a great family, what a great record, and what an awesome God we serve!"